Interestingly, on the support site for windows 10, there is a "mainstream support end date" for Windows 10. https://support.microsoft.com/en-us/lifecycle/search?sort=PNα=Windows%2010&Filter;=FilterNO Considering this is the "last version of windows" http://www.theverge.com/2015/5/7/8568473/windows-10-last-version-of-windows I wonder what it means by this? Are there plans for Windows 11 in 2020? or is there going to be a radical overhaul of Windows 10 (i.e Windows 10.1?). I still imagine they are going to stick to their "widnwos as a service model", i.e all updates will be rolling releases like Mac/Ubuntu do. 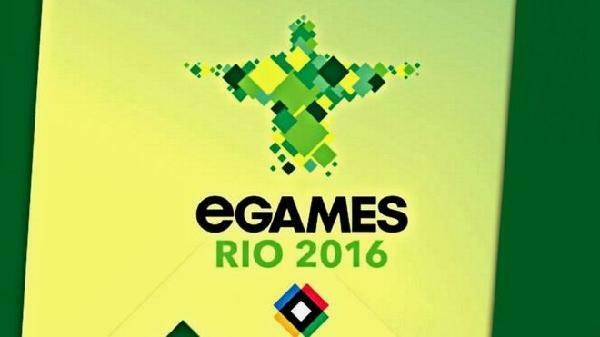 The Video Game Olympics are set to debut at Rio for 2016. Brazil, Canada, USA and Britain are the only confirmed entrants so far. Although I imagine more countries will submit their enteries soon. This is showing that eSports, an already multi-million dollar industry is onwards and upwards in popularity and seriousness. You also have betting organisations offering bets on individuals/teams winning at various eSport competitions, of which can attract in some instances $10M+ prize money (The International 2015, the main eSports tournament for Dota 2, attracted a prizepool of over $18M). There will be a mix of PC, console games and maybe mobile games (Angry Birds Olympics anyone?). 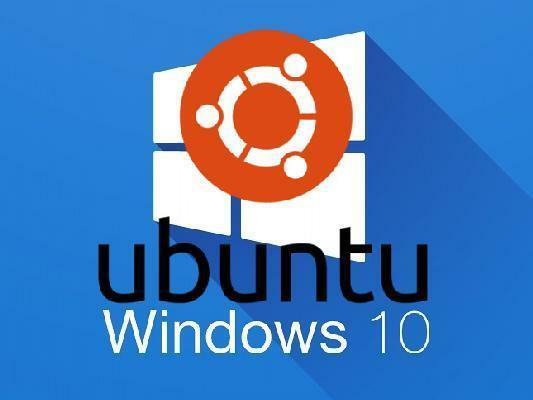 This is something that I never thought I would hear, but it looks like Ubuntu is coming to Windows 10. As of the Windows 10 "Anniversary" update (coming soon, probably 29th July 2016 since that would be a year after Windows 10 was launched).This will also include the Ubuntu package manager, bash, and various other utilities that Linux users take for advantage (ssh anyone?). Essentially you will be able to run native Linux shells on Windows 10. No need for a virtual machine or CygWin (GNU command line utilities for Win32) to get a Linux-like environment running inside Windows 10. Of course however, having Ubuntu running in a Windows environment will not make Windows any faster or more efficient. Just simply means you have access to Linux-based (GNU+Linux.. you know what I mean) commands within a Windows environment. I would see it as a convenience as I often play games on Windows (I am still on windows 7, not seen the need to update to windows 10 yet despite it being free), and it would be nice to be able to access a Linux environment for e.g transferring files to my dedicated server, running python or shell commands within windows directories, or simply using SSH without having to switch OS to do this. I would not kill off my dual boot setup simply because Ubuntu is (even if it is one of the more "bloated" Linux distros) still faster to run than Windows 10, and is in my opinion a nice productivity/work environment. Still, with Microsoft also providing better support for python in the future, it is doing a good job at convincing someone who has heavily invested a lot of time in Linux development to look more into development in a Windows environment. If that is their aim, then they are doing a good job. It would also give more exposure of Linux and open source software to Windows users who may have never touched Ubuntu or Linux before. So I would say it is a win win for Microsoft and Ubuntu. I do however doubt we will be running Windows applications on Ubuntu anytime soon either. Either way, lets watch this space. Also, can I be the first to say "GNU + LINUX + WIN"? Application based widgets. The widgets now change depending on which application you are viewing (i.e either the blog or the pages in the case of this website). User defined URLs, e.g this blog is now using /YYYY/MM/title structure. Encoded primary keys. No longer are the number of files, blogposts or comments exposed to the public. Various SEO optimisations including sitemaps.xml generation, tags and meta content. Captcha now is only implemented on 3 failed login attempts. Various other bits of bug fixes and tests. Does not sound like much has changed, but getting these core components correct is crutial for furtherupdates of this software. Some progress has been made on the new forums too, as well as user profiles. Once the forums are done, the plan is to update the Sector Alpha website with this software. There are still some minor things that need to be worked on, for example there is a css style clash with the home page slider with the websites main CSS, likewise I do intend on styling the website to look more personal, rather than for it to take on the current default AlphaCMS skin. A true migration over to BBcode is required, at the moment I am mainly displaying BBcode in a html-like way. Autodescriptions need to be stripped of BBcode tags stripped. CSS clash with the slider. No way for a user to recover their account yet by themselves (email me instead for now). Some bots have an interesting time with my "bot detection" code. I have hidden the widgets along the bottom for now (e.g the twitter feed). But in reality come to think of it, there is some empty space on the side. Maybe e.g the twitter feed could be loaded towards the bottom of the site-based widgets on the right hand side. But then you could argue that I already have a twitter link in the top nav bar anyway. Maybe do away with widgets all together on the mobile? Although it is possible to create pages that are not included in the menu itself. Maybe there should be a place to navigate through them nicely? Update the text at the top of the page? Improve the design of the tags? All will be improved in due time. 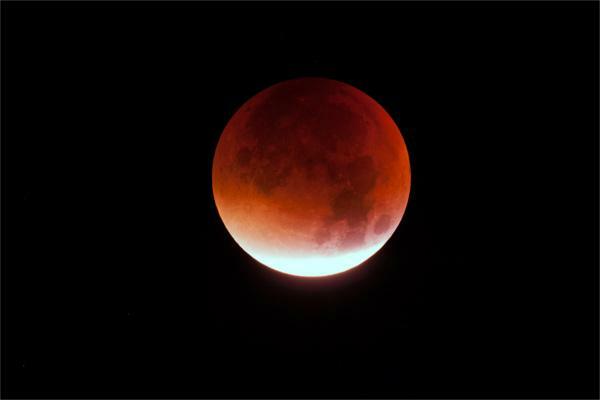 On September 28th 2015 at 02:37 UTC, people in the Americas and parts of Europe and Africa were able to witness the Lunar Eclipse of a Super Moon, in which the moon turns a red colour (sort of blood red, hence the term blood moon), is full in appearence and is at it's closest to us within its orbit. So let me explain in more detail what is exactly going on. The orbits of the planets around the Sun within our solar system, although are commonly thought of being perfectly circular within diagrams in textbooks or on the internet, in reality are not. All of the planets undergo elliptical (oval) orbits and within these orbits there is the Perihelion, which is the point at which the planet is closest to the sun, but also the Aphelion, which is the point at which the planet is the furthest away from the Sun. However there is very little difference between the Aphelion and Perihelion and thus the planetary orbits can be approximated as to being circular. These oval orbital paths rotate themselves around the sun too, so the furtherst and nearest point of the planetary orbit around the sun in physical space relative to the sun changes. This is known as a precession. Interestingly, and for another blog post, apart from the orbit of Mercuary, these can be calculated using purely newtonian forces. Mercuary is interesting since it's precession occurs at a faster rate than predicted from pure newtonian mechanics, and is thus a nice confirmation of Einstein's General Relativity. Back on topic, the Earth and Moon system is very similar. You have the Moon orbiting the Earth in an (ever so slighty) elliptical orbit, with a Aphelion and a Perhelion. What constitutes a "Super Moon" is simply a Full moon (i.e when the moon is positioned behind the Earth relative to the Sun, and thus is illuminated by the sunlight and appearing circular and bright on the night sky), but the phase of the moon being full occurs at the same time it is at its closest point to the Earth. The "Blood Moon" or "Lunar Eclipse" simply comes from when the Moon appears red due to the refraction of light in the Earth's atmosphere when the Moon is positioned exactly behind the Earth. 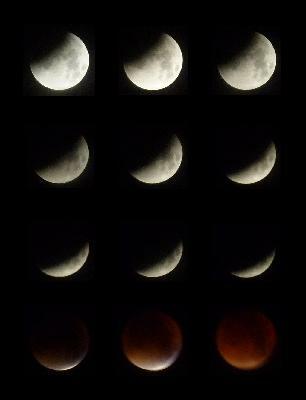 So why don't we see Blood Moons all the time? Simply because the Moon's orbit around the Earth is inclined to the Earth's orbit around the Sun (i.e they do not orbit in exactly the same plane). So when you get the uncommon occurance of the Moon being behind the Earth, and thus red due to the refraction of light of the Sun, in addition to the uncommon occurance of Super Moon (in which the Moon is at it's closest point to Earth at the time of the Full Moon phase). You get a Super Blood Moon.Here is a picture that myself and my girlfriend Andrea took whilst we got the chance to see it ourselves in Cole Harbour - Canada - Nova Scotia. I know it is not the best of pictures. I might also include here some of the better Super Blood Moon pictures that I have seen on the web and by my friends too. 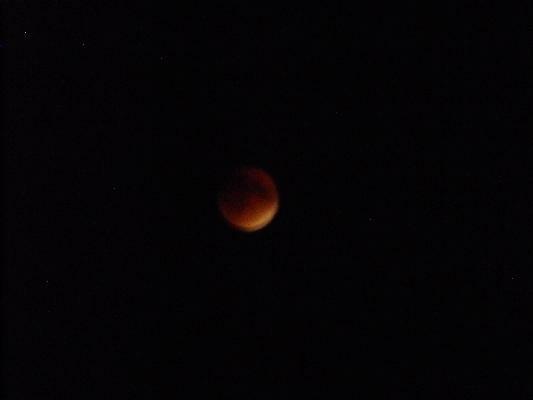 Hope you got the chance to see the Super Blood Moon too. Share your experience in the comments below. You need to register an account in order to reply to this blog post. The other images are taken from http://www.star.uclan.ac.uk/news_and_events/news/2015092801/ . Copyright © 2019 Cosmosquark, Inc. All rights reserved. Website designed and developed by Cosmosquark, Anthony and Staircase.